New stone with our unique natural stone ageing process. From the need to meet customer demand Bingley Stone have developed a unique process of colouring and distressing new walling stone to emulate the reclaimed old walling stone that is becoming ever increasingly scarce and more costly. With fewer and fewer old buildings being demolished and the supply of good reclaimed stone walling becoming ever more scarce, the availability and price of reclaimed walling stone has become a real problem. The benefits of Bingley Stone's Newbold genuine natural Yorkshire stone walling is that it is cost effective, readily available in large quantities, sizes and colours. And it can be produced to customers specifications. 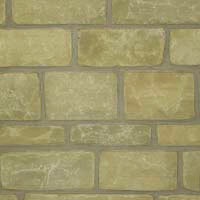 At Bingley Stone we believe that our product is most convincing as a substitute to reclaimed natural stone. 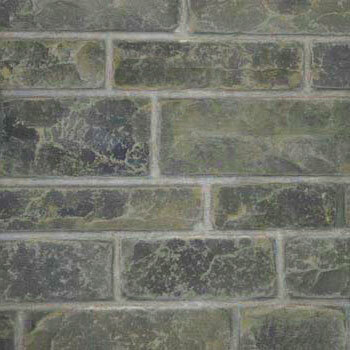 Many others offer a spray painted new walling stone, which, in our opinion looks obviously spray painted and un-natural. Bingley Stone's unique ageing process provides a more convincing appearance, you might even say, indistinguishable from old stone. Also remember, this is genuine Yorkshire stone. 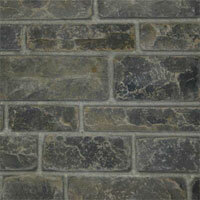 We offer three standard colours in our Newbold walling range. The colours have been developed to closely match the stones found in rural, urban and industrial areas. Old stone walling can differ in colour due to the conditions such as exposure to sunlight, pollution, weather conditions and proximity of trees or wooded areas. We also offer a colour matching service. If you have any special requirement we can match colouring and sizes from photographs and measurements. Samples can be provided to ensure suitability. A nice blend of lighter natural tones. Created to match in with lightly weathered cleaner faced old stone usually found in areas of low pollution, or from relatively new buildings. Newbold - Light is available in a range of size options. To simulate weathered walling stone which in some conditions can turn a slight green hue due to lichens or mosses. Usually found in rural areas, areas of clean air or buildings in the vicinity of trees. 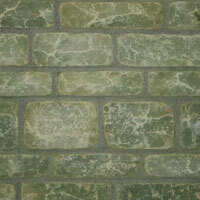 Newbold - Green is available in a range of size options. To suit older buildings or buildings in industrial areas. The process with Newbold dark walling simulates many years of aging and exposure to pollution which cause the darkening of the stone. 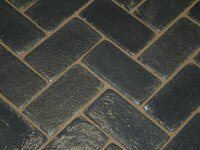 Newbold - Dark is available in a range of size options. These illustrations are intended to give an indication of the colouring. As always with any natural stone there will be colour variations. As part of the colouring process each stone will differ in colour, this is intentional to give the most natural appearance. With this in mind we recommend selecting stones from different pallets to ensure a distribution of colours. This is a term for the stones laid in the vertical direction or larger stones that span more than one horizontal course. Sometimes Jumpers can be stones of a similar size to the rest of the wall, but often the larger stones are selected to use as the jumpers. Once again, this varies from one wall to the next. This is a term used to describe the larger stones forming the corner blocks on the wall. These can range from smaller stones to huge blocks of stone, often regular shaped but sometimes irregular in size and shape. Quoins are seen on the corners of walls or buildings, also sometimes used for the edges of door and window openings.